With experienced members of staff always on hand to offer friendly, professional advice you can rest assured you’ll receive the highest quality of service when visiting our showroom. We are constantly being told that we have on display the finest selection of tiles available in Wales. 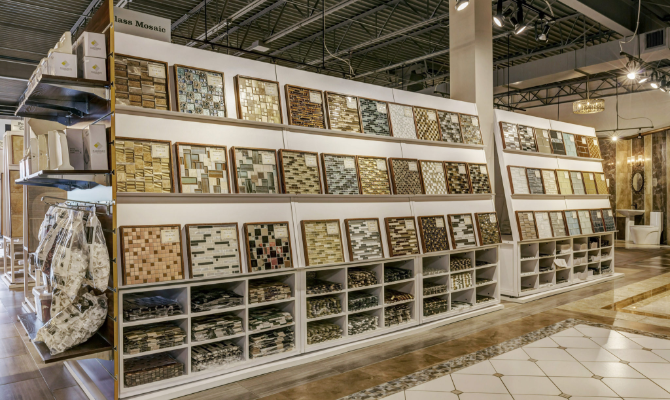 Our choice is wide and with thousands of different items in stock we will almost certainly have the tile to suit your needs. Also available is a full range of flooring products, such as solid wood, engineered wood, bamboo, laminate, cork and vinyl. These are sourced from such manufacturers as Woodpecker, Vusta, Karndean and Polyfloor to name just a few. Our products come from the UK, Europe and all around the world. We deal with lots of manufacturers but experience has taught us to be selective ... Some are huge, some are tiny but one thing they all share is the commitment to the CTW standard of quality and service.